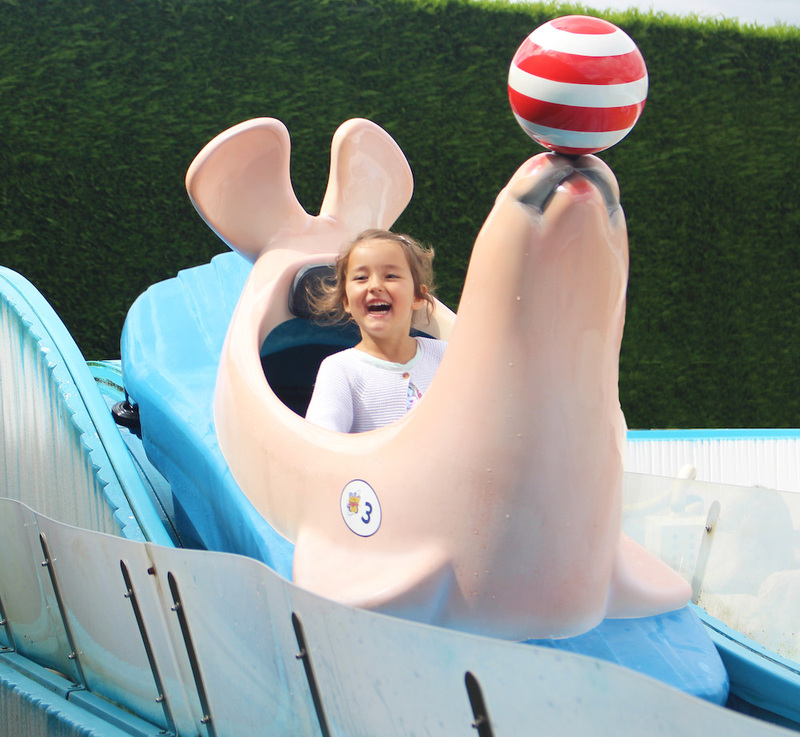 Home of Peppa Pig and lots of exhilarating rides, it’s Hoppy Easter over at Paultons Park. The little ones get the chance to meet Bobtail Bunny and his friends Betty Bunny, Hennie the Hedgehog and Red the Deer, as well as the cheeky Fenton Fox. The older ones can spend the day scaring themselves silly on all the rollercoasters and other rides. RAWR! So they may have been made extinct aeons ago, but the dinos are back and roaring at Marwell this Easter. Built brick-by-brick in Lego, you can see these life-size sculptures in all their glory while also seeing more modern beasts as well. What could be sweeter than a spot of STEAM learning with added sugar? 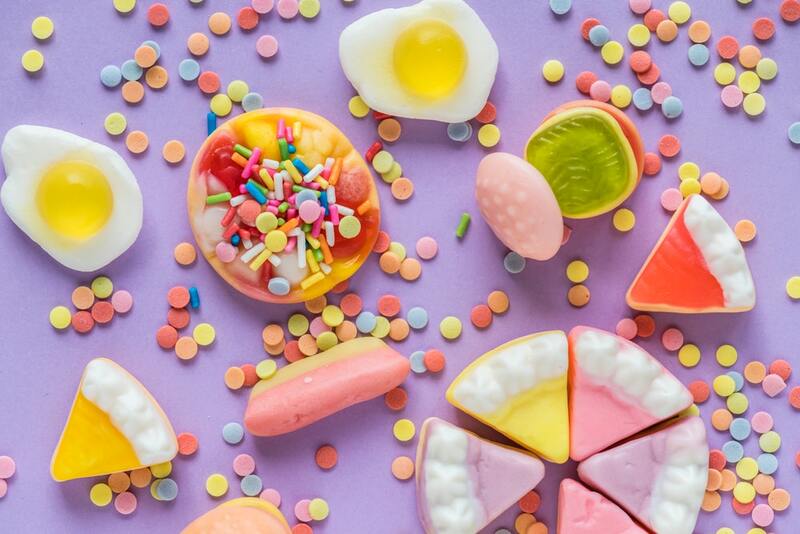 Winchester Science Centre is packed this week with interactive learning, live science experiments (the best kind, with explosions) and helping kids to create their very own Wonka-esque sweet machines. While they may need to brush their teeth until May half-term they’ll be buzzing from more than just a sugar rush. 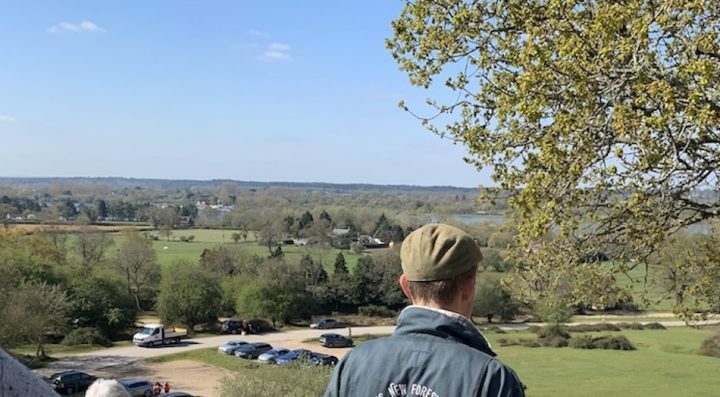 Some retro fun for us now, and the home of classic cars is trotting out a typically British tradition for Easter – Bonnets Galore. And it’s not just making the hat-type but also a chance to peer under the bonnet of some of their exhibits. If cars aren’t your thing there’s still plenty to check out with the Victorian kitchen in Lord Montagu’s house, crafting and dressing up. Delight the kids with a chance to meet the Easter Bunny as they appear at Rosebourne this Easter Holiday. The Bunny will be dropping in on a number of dates (6, 7, 9, 11, 13, 14, 16, 18, 19, 20 and 22) and all Easter long you can take the kids on an in-store bunny hunt with a prize if you find all of them. Blackgang is inducting the younguns into the role of chocolatier this Easter. During the holiday there is a giant Chocolate Bubble Bath to dive in and the chance to meet Cedric the dragon. During the Easter weekend itself it’s all go with a 5-tier chocolate fountain and special performances from Coco the Bubble Wizard. 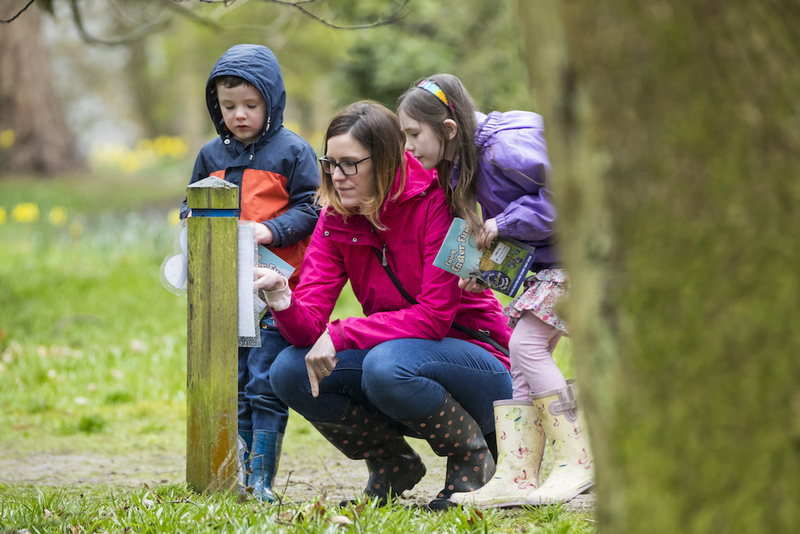 Get out and explore the home of famous naturalist and Hampshire resident, Gilbert White, by following the clues to track down the Easter bunnies on his estate. As well as the rabbit-related fun you can also discover the beautiful gardens of this Hampshire heritage site. The Spinnaker is putting on a great show this Easter with their jigsaw trail up this iconic building. As well as finding all the pieces the really small ones can gasp in awe as they meet their favourite CBeebies bunny, Bing, and his long-suffering guardian, Flop. Terrible torture, gruesome gourmet and a whole lotta plundering and varmints – you know the kids are going to love it. Heading to Portsmouth Historic Dockyard this Easter is the fantastic Pirates exhibition from the team behind Horrible Histories. They can learn all about what it was like to be a pirate, and how gross it was as well. Entrance starts at £31 for adults (with other attractions included) and £18.50 for kids aged between 5-15. Hop over to Exbury Gardens for its fantastic Easter activities this year. As well as the mini-steam train and beautiful woodland gardens there’s also an epic Easter egg hunt and a chance to meet the Easter Bunny. Shaun the Sheep is visiting the Island this Easter, as well as a whole host of farm-related fun. With tractor rides, egg and spoon championships plus lots of super cute animals to pet, Robin Hill always delivers some good outside fun at this time of year. If you’re on the hunt for a holiday camp during the Easter break then Intergr8 Sports are hosting a wide range of theme days during the holidays. 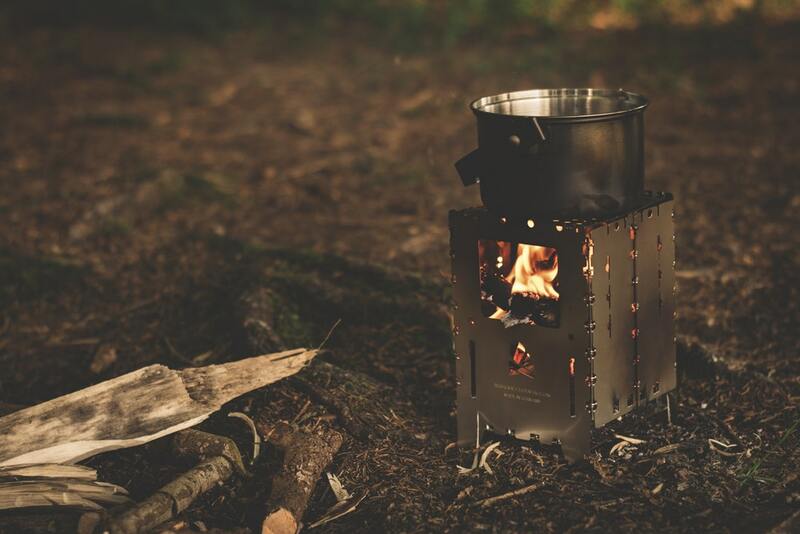 Ticking the box for whatever the kids are into there’s Survival School (Mon 8 & Wed 17), Superheroes & Villains ( Tue 9 – Mon 15), Pirates & Princesses (Wed 10 – Tue 16), Fortnite (Thurs 11 – Fri 12) and Unicorns and Dinosaurs (Mon 15- Thurs 18), they’ll play outdoor games and activities with experienced coaches to make the most of their holiday experiences. To the theatre now and everybody’s favourite elves and fairies are swinging into Aldershot this Easter break. This live stage show brings Princess Holly and Ben Elf into real life, complete with the cringe-worthy mistakes of Nanny Plum and the ever-present threat of a jelly flood. Adult tickets start at £15 and children’s start at £13. 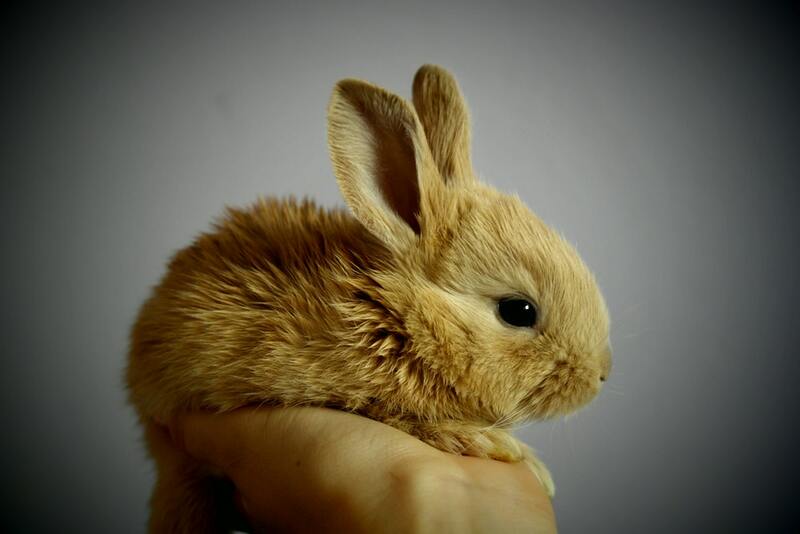 If Easter-time always brings out the demand for their own furry bunny friend, then how about signing the kids up for a workshop on what it takes to look after a rabbit. At the wonderfully named Furlock Holmes Animal Care, there are workshops for kids aged between 4-12 to care for animals and learn about the great work they do at the cenre. Each place is £10 and must be pre-booked. Packing as much fun into those two weeks off Harold Hillier Gardens have a huge amount of activities this Easter. With everything from Easter cake decoration (Wed 10), Bushcraft (Fri 12), tree climbing (Fri 12 & Fri 19), and a bit of Saxon archaeology (Wed 16), you can pick and choose what’ll keep the little blighters happy. If you need a hand with some childcare there’s also their popular Outdoor Activity Club running (Wed 10 – Thurs 11 & Wed 17 & Thurs 18) for a some Forest School fun. 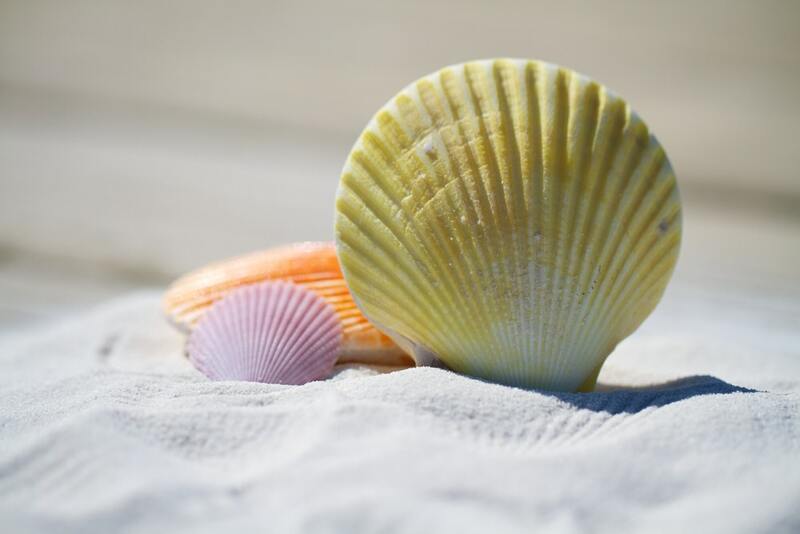 We’re super lucky to have miles of coastline in both Hampshire and the Isle of Wight, so this Seashore Safari at the pretty surroundings at Lepe Country Park maximises on one of our best areas. The kids can run wild collecting shells, throwing seaweed at each other (Ok, maybe not that) and hunt for crabs on this gorgeous stretch of coastline. Cost is £5 per child and pre-booking is required. The year-round pioneers of experiences, New Forest Activities will get the kids outside come rain or shine with Easter events. 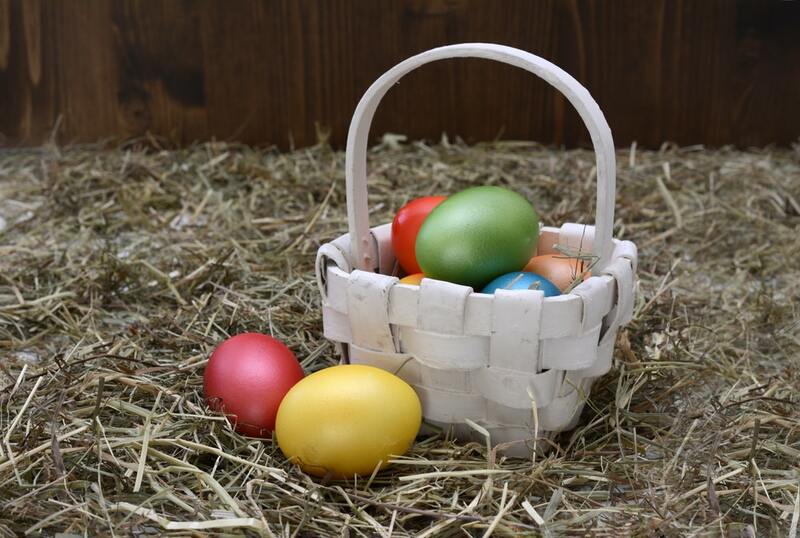 With a family Easter egg hunt in canoes (Sat 13 – Sun 14 & Sat 20 – Mon 22) or dropping the kids for one of the Adventure Days (Thurs 11 & Thurs 18 Apr), they can try their hand at archery, bushcraft and all sorts of outdoorsy pursuits. Jumping off the small screen and onto the stage, the Night Garden Live is visiting the Kings Theatre this Easter. While you probably won’t have a clue what is going on with Iggle Piggle and co. the toddlers in your brood will be entranced (and hopefully tired enough to go straight to bed afterwards). 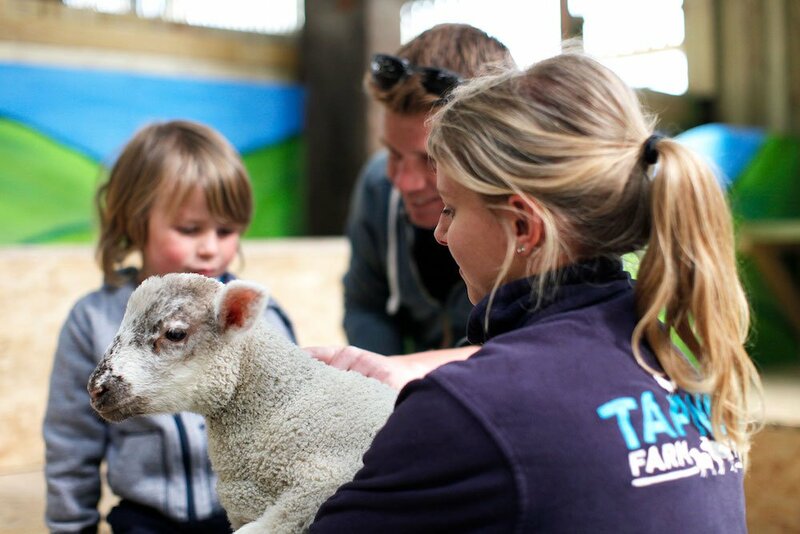 Southampton’s favourite farmyard is going to be cracking this Easter holidays with performances from Crazy M and Dumpling the Rabbit, flower pot painting as well as the animals and wildlife for the kids to play with. All aboard! Thomas the Tank Engine has popped over from the Island of Sodor to visit all the kids in Hampshire this Easter. 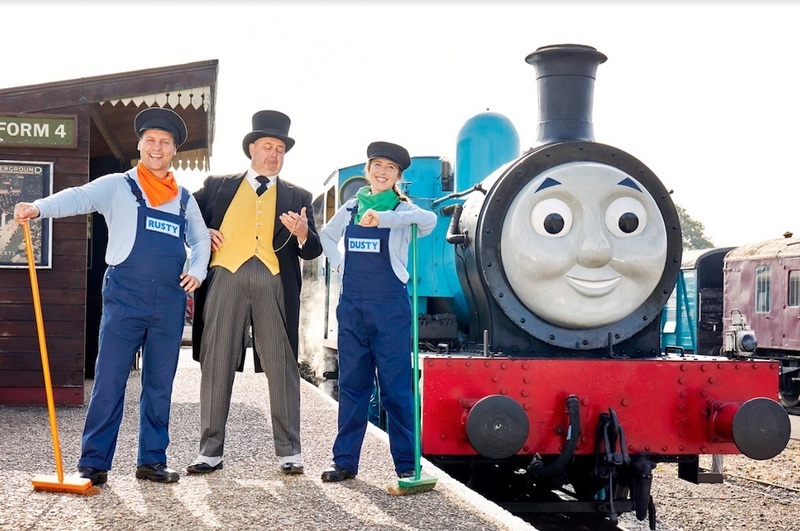 With Thomas trains running up and down the super pretty Watercress Line and fun such as Rusty and Dusty the magicians and vintage fairground rides, it’s a great day out for any Thomas fans in the family. Adult tickets are £20 and kids aged 2-14 are £14. Get the kids creating during the holidays with the Mimosa Montessori Art Camp in Winchester. 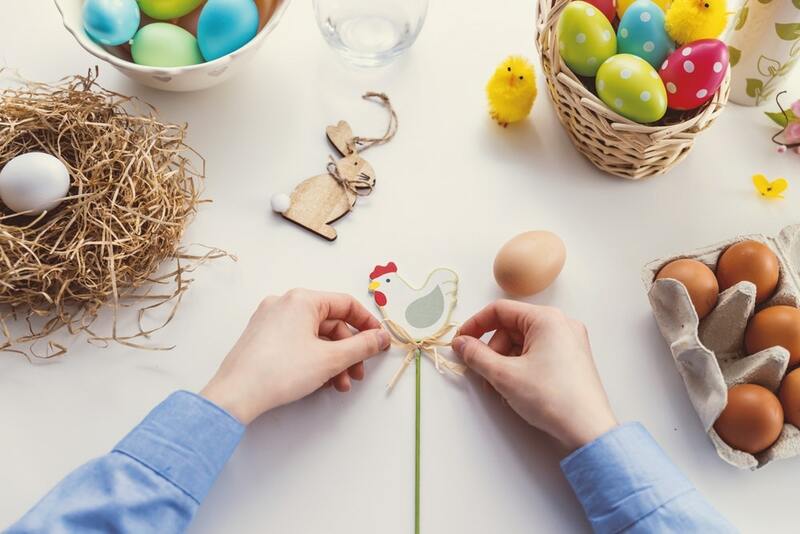 With activities including embroidery, paper wreath making, origami and more, kids get the chance to get messy and bring home some Easter crafts for £45 for 4 hours. Andy, if you fancy getting in on the crafty action, there are some family art days too (Wed 10, Mon 15, Tue 16) for £20 for two people. A classic tale comes to life on the stage at the Theatre Royal Winchester as Pinocchio comes to tell tall tales and have his nose grow to epic proportions. Also on is David Baddiel’s ANiMALCOLM (Thurs 11 – Fri 12), Braniac! Live (Sat 13) and Elmer the Patchwork Elephant (Thurs 18 – Sat 20). 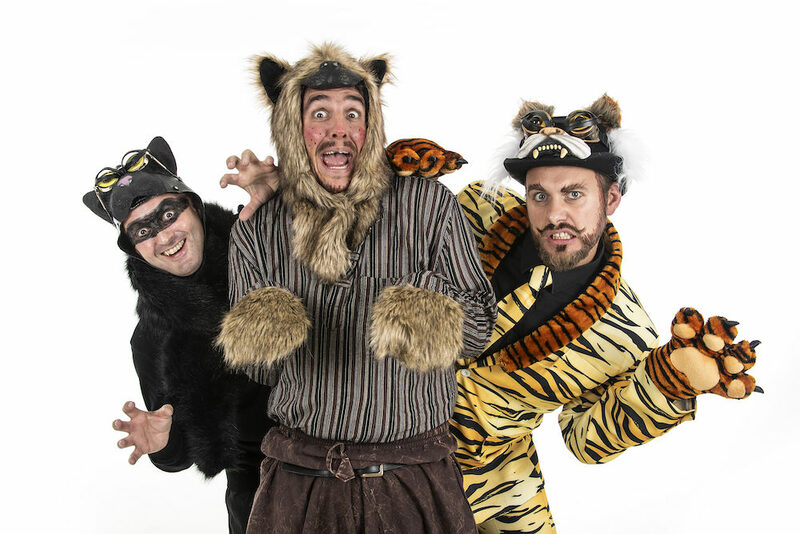 Rudyard Kipling’s classic The Jungle Book, is the Easter production at Portsmouth’s New Theatre Royal (fun fact, Rudyard Kipling lived in Portsmouth for a while). With comedy, songs and amazing costumes, you and the kids can transport to the jungle for this family-fave tale. Monkey Haven is always a great place to go if you’re on the Island, and this Easter the primates are getting in on the action too. 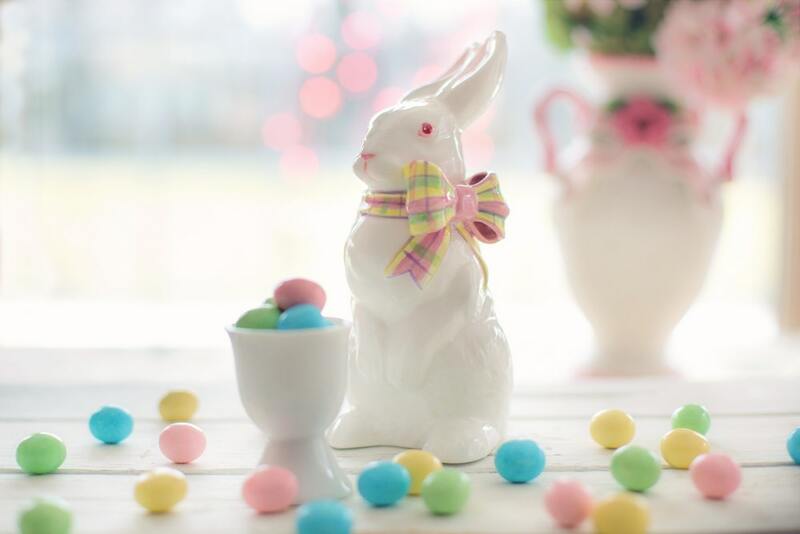 With an Easter egg hunt around the grounds, Creme Egg milkshakes and Hot Cross Buns in the Tea Room, as well as crafts and watching the monkeys get their own Easter eggs, it’s a great day out for all ages. How about a bit of city-planning? 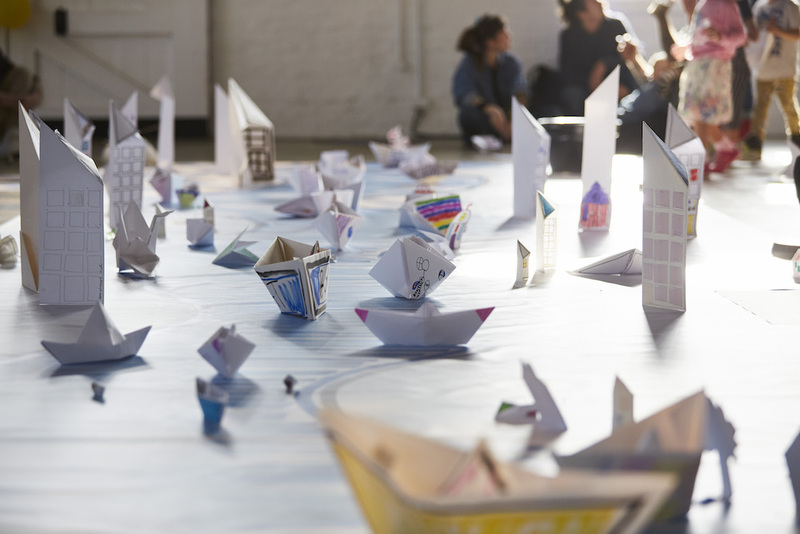 At The Spring’s Easter event, Fold Our Town, kids (and the grown ups too), can recreate Havant – complete with buildings, trees and boats – out of paper! You can even add a few additional flourishes you’d like to see in the town and really let your imagination run wild at this free event.